This second day of tournament ended on the same dynamics as the first. In rugby, the level of the matches was excellent and the results were tight. Teams like the Stade Français and Sucy made a good impression in the semi-finals, but it is eventually the Germans of the Deutsche Rugby Verband who win the U18 boys category. Amongst the open men category, it is the superb team of the Tinghir Rugby Club who honors Morocco, by winning the first place in this category. In the girls tournament, Atlantis Rugby almost felt the victory feeling, but it is finally the Baby Paris Ladies who eventually won this final. And the Rugby Club Massy Essonne finishes first in the girls open category. Overall, the matches held their promises, and if some teams sent a strong message, others like the Swiss or Emirati selections, or even St Martin Rugby Union were examples of exemplarity on and off the field. The rugby tournament is already over, but it is full of promises for the 2018 edition! In handball, this second day brought the atmosphere to another level! The group matches gave some surprises such as this new victory of the Indian women’s selection or the incredible intensity of the matches between ACBB and ES Colombes as well as between Paris Handball and the Entente Seine Nord 92. The matches are still tight and promise beautiful things for the final stages that will start on Tuesday. For the basket, the Indian teams manage to stay in contact against the teams of Ile-de-France. In most groups, the outcome is still uncertain and matches on the third day will be decisive. Football has seen matches tighter and more balanced than yesterday. The awaited match Brazil-Argentina ended on a 0-0, while the US teams are still making good results. 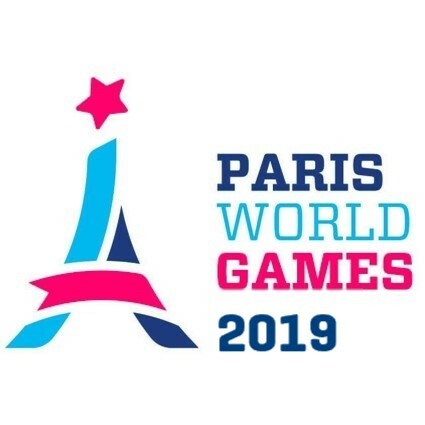 The regular teams of the Paris World Games continue their journey, and some of the new teams are very motivated to create surprises. For the girls, the open category tournament ended with a new victory of the C.A Paris. The next few days will speed up the pace!